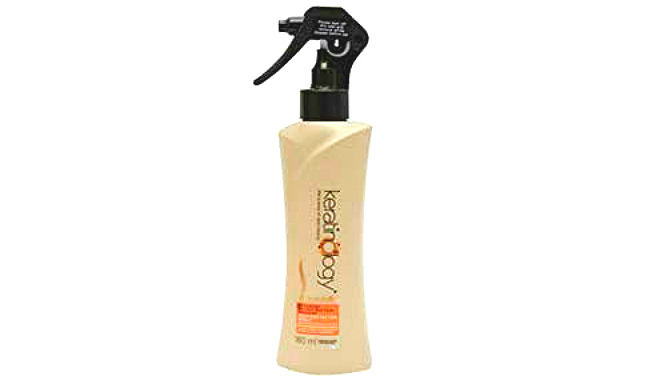 This heat protector spray from the ‘Sunsilk Keratinology’ range is a pure gem for all types of hair. It is a unisex product featuring the advanced formula ‘Keratin Micro Technology’ along with UV filters, which help in protecting hair during heat styling, reconstructing the surfaces of porous and damaged hair strands, nourishing hair fibers deeply through micro-nutrients, making the hair healthy and glossy, keeping frizzes at bay, and preventing hair breakage. Regular usage of this super-moisturizing mist can give you salon-like beautiful and attractive hair in minutes. Price: Rs. 400 for 180 ml. 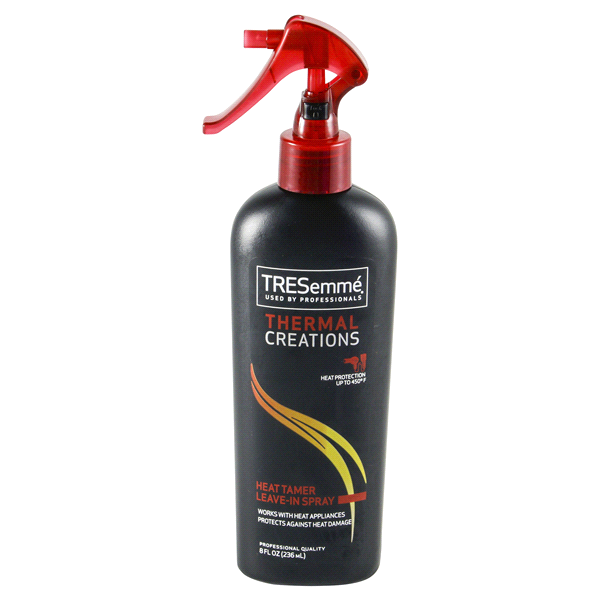 The best thing about this Heat Tamer Protective Spray from the ‘Thermal Creations’ range by TRESemme is its specifically designed professional formula, which is just perfect for minimizing the adverse effects as well as preventing further damages caused by heat styling. The lightweight mist is rich in moisture-locking vitamin complex that hydrates and conditions hair fibers to give you soft, shiny, salon-like tresses right at home. It can also tame frizzes with gentle care while enhancing the overall flexibility of your hair to a great extent. Price: Rs. 830 for 236 ml. 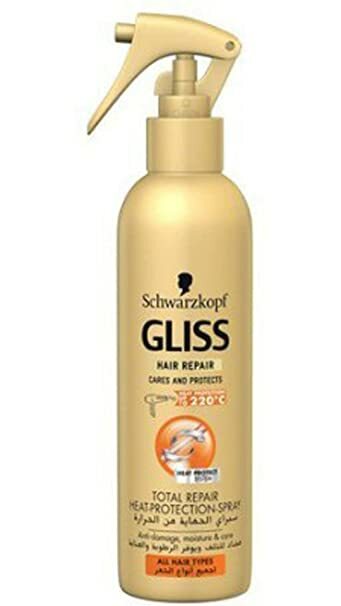 If you want to take utmost care of your hair during heat styling and protect it from severe damages, this Schwarzkopf Total Repair product is the right choice for you. Its unique heat protection formula provides protection from as high heat as 220 degree Celsius while providing moisture to the hair strands without making them limp. 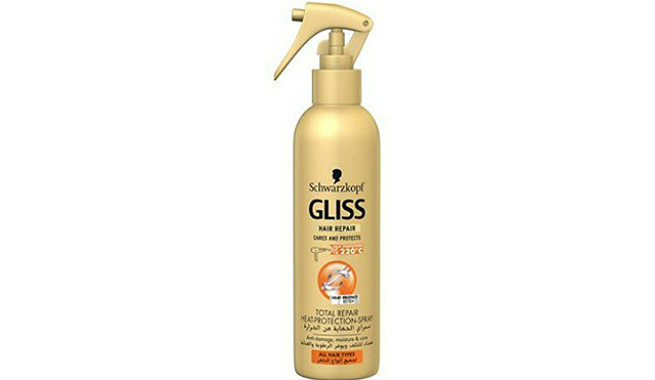 Gliss also works as a total repair system that smoothes hair by reducing frizzes completely. Price: Rs. 520 for 200 ml. 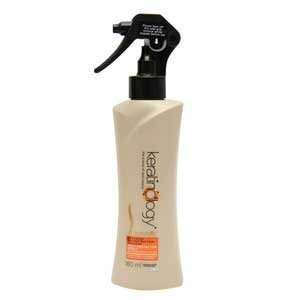 Toni & Guy is a well-known name in the world of heat styling and their Iron It Heat Defence Spray is specifically designed to use during hair straightening. If you are a regular user of the straightening iron, this lightweight spray will be your ideal partner in creating your everyday hairstyles. The product not only gives maximum protection from the heat but also leaves your hair conditioned, smooth, shiny, and beautifully straight. Price: Rs. 475 for 200 ml. 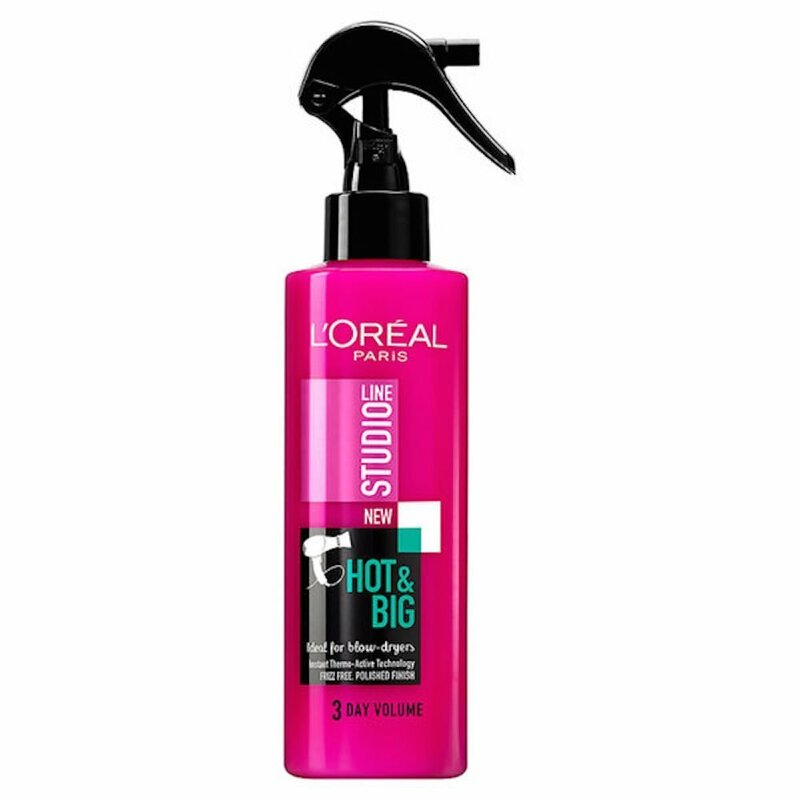 The Hot & Big Heat Protect Spray from the Studio Line range by L’Oreal Paris is another great addition to the list. It protects our hair from heat up to 230 degree Celsius with its exclusive heat protect technology. Being a ‘root boosting amplifying spray’ with ground-breaking ‘thermo-straightening’ formula, it can create smooth, polished, and bouncy hair that is silky soft to touch and long-lasting enough. Price: Rs. 1299 for 200 ml. When it comes to heat protecting the hair in an affordable way, WELLA Professionals turns out to be an amazing choice. 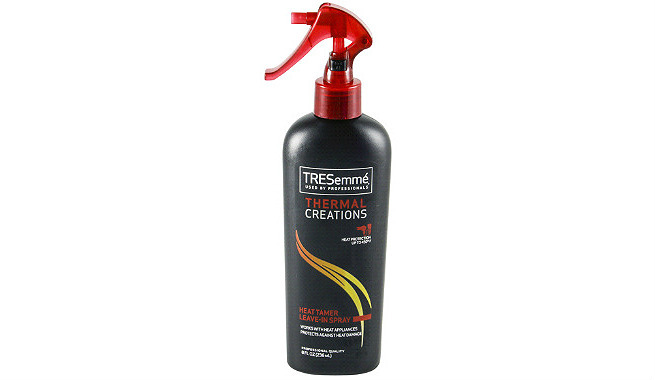 This Thermal Image Heat Protection Spray is a 2-phase product, which nourishes tresses as well as shields them from heat (up to 220 degree Celsius) in phase 1 while conditions them in phase 2 for a healthy and glossy effect. 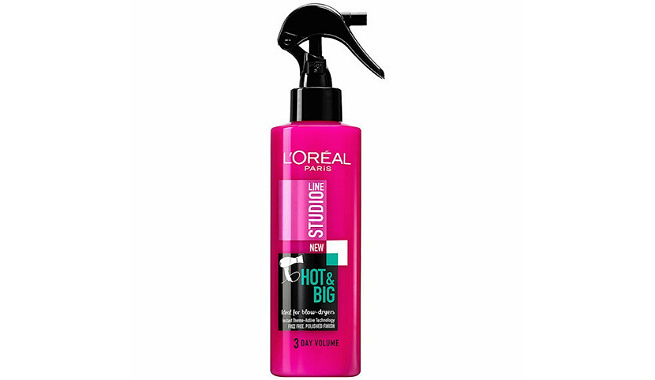 You can’t help but love this hair spray if you are into heat styling very much. Price: Rs. 575 for 150 ml. 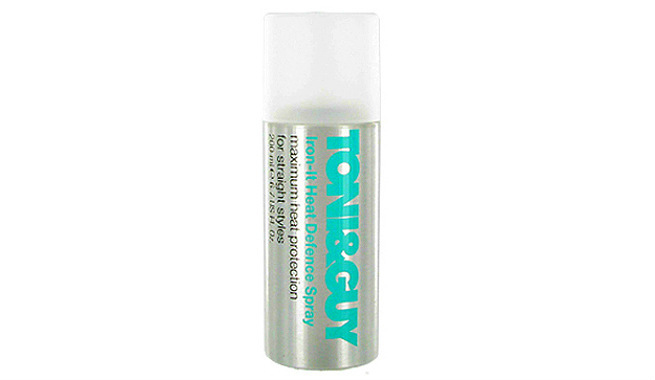 Here is another Toni & Guy product for ensuring ultimate protection from damages caused by heat styling. This super-fine, lightweight mist has amazing effects on dry, damaged hair. It can condition hair intensively to make it softer, smoother, and healthier. It also prevents breakage that is very common in the case of heat styling. Price: Rs. 650 for 150 ml. Always apply hair spray right before using any heat styling appliances on your hair. Applying it after does not work at all. Hold the spray bottle at the length of your arm and spritz all over your locks generously. Make sure that you cover the lower layers equally by flipping your tresses. Do not forget to wash the spray buildup off your hair in a couple of days. Even though there are heat protection creams, gels, and mousses for hair, sprays are the most convenient choice ever. So, find the best suitable one for your hair and look gorgeous!